There are a growing number of tools to guide the design and improvement of youth programs. These come in the form of frameworks, program quality measurement tools, self-assessment or reflection surveys. Some are general in nature and some are very content-specific. If program leaders try to use all of these tools, it can be a bit overwhelming and probably not useful. It is important that programs begin by taking a look inside and answering the question, “What are we about?” and “What needs do youth have and which do we think we should focus on through our program offerings?”. Then, program leaders can select the most appropriate framework, quality assessment tool, or self-reflection survey. By “framework”, we are referring to a conceptual structure intended to serve as a support or guide for the design and implementation of a youth program. There are frameworks for youth development, for young adult success, employability skills, character building, social emotional learning, and more. This framework serves as a valuable tool for programs that wish to prepare young people for success in work and career. When examining this framework, one can appreciate how it overlaps with 21st century learning skills and character building/social emotional skills, and broader frameworks for youth development. 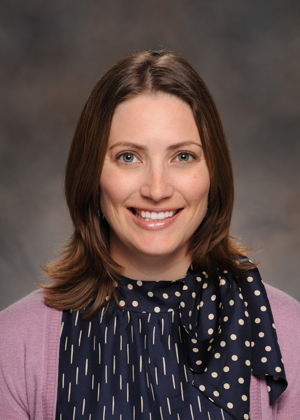 Laura Rasmussen Foster, Program Director of Adult Education Studies at RTI International, led the development of this framework. She will speak about it at our upcoming How Kids Learn V Conference in Berkeley. Below, she answers a few questions we had about the framework. Q: Can you briefly say how and why this framework was developed? A: It was developed by RTI International for the U.S. Department of Education, Office of Career, Technical, and Adult Education. The goal in creating the framework was to look across existing sets of employability skill standards and assessments and identify areas of overlap that would begin to unify this existing work in a common framework. 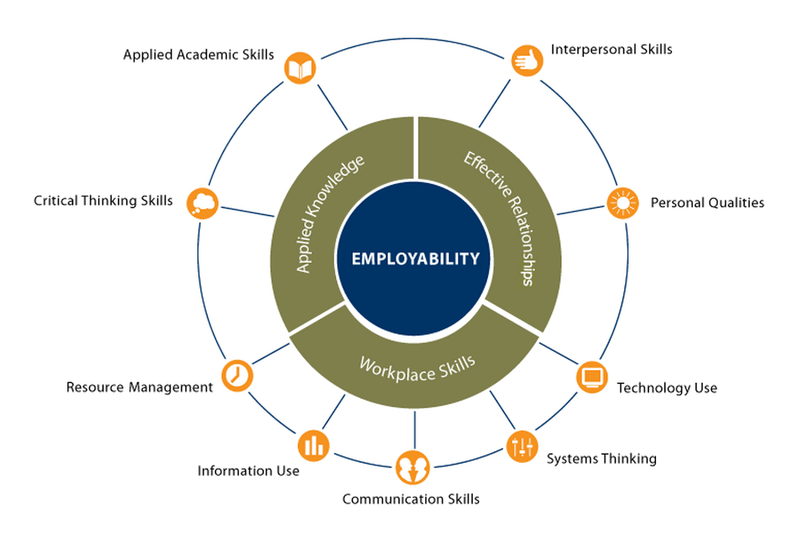 We found right away that there are so many different terms used to describe employability skills and wanted to provide a common language (based on research) for both education and business to use. Our work was guided by a technical work group, which included representation from career technical education, adult education, and workforce training organizations. Stakeholder groups reviewed the framework and other key products as they were developed to ensure their applicability to the broad education and workforce fields. Q: Who was the intended audience and how do you hope this framework will be used? 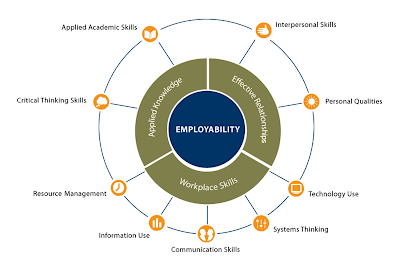 A: The audience (educators, policy makers, and employers) is intentionally broad, as we recognize the importance of employability skills to all individuals and the need to integrate these skills into education and training programs across grade levels and content areas. Hopefully the framework can be used by these audiences in different ways to meet their specific needs. For example, teachers can review the framework skills, identify those that they already may be teaching and develop lessons for incorporating other skills. Employers can use it as a communication tool for explaining their skill needs to their education partners. Other tips for using the framework are described on audience-specific pages (see http://cte.ed.gov/employabilityskills/index.php/audience/educators, for the educators page, for example). A: Yes, definitely. Employability skills are an essential component of college and career readiness, no matter where that preparation takes place. It is not just the responsibility of one career and technical education program or a single teacher to teach all of the framework skills. Instead, they can and should be integrated across educational levels and programs and reinforced in various contexts. Q: This framework names several concepts we see in frameworks for character building, youth development, and social emotional learning. What are your thoughts on the overlap? A: I’m not surprised about the overlap, as the framework builds on existing sets of skills, standards, and assessments – it was not intended as a new, separate set of skills. Hopefully the overlap helps you understand how youth programs are already addressing these skills and identify any gaps for further work! We at Pathways Consultants are very excited about this framework. Not since SCANS skills has there been a framework adopted by both education and workforce development. In the meantime we had been sharing Common Core Anchor Standards with our partners, so we were thrilled to find a framework that is aligned with CCS as well.